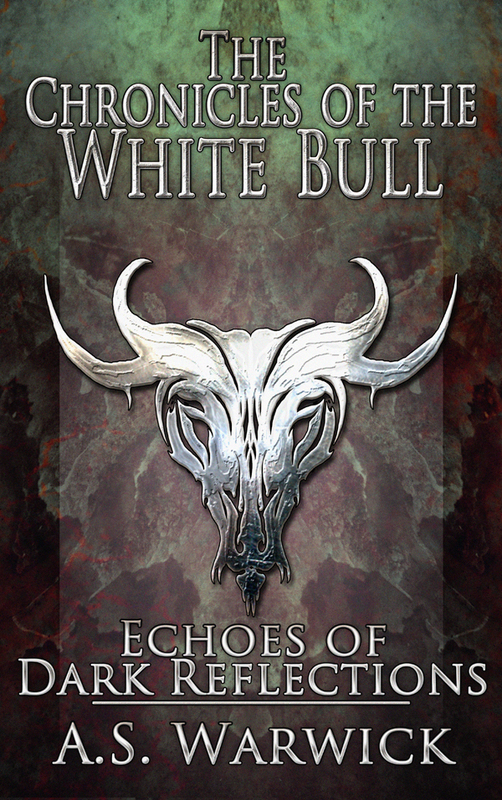 The giant white furred minotaur Nhaqosa glanced aside and down at the wiry man who had spoken, Lakach, and then back ahead of them to what had provoked the man’s words. Lakach tugged at the ends of his drooping red moustache, a sure indication of unease, even concern. Nhaqosa had to admit that he shared that worry as well. Nhaqosa turned to look behind, beyond the small band of warriors he travelled with, the escaped slaves and gladiators who had followed him to freedom, and continued to follow him, back over the grasslands that they had crossed. Despite the prolonged drought that afflicted the lands, the grasslands were watered by rivers that flowed down from distant mountains. There were tinges of green among the browns, barely enough to call it verdant but after so long travelling arid, dusty lands, it seemed lush in comparison. Ahead, though, in the direction their travels took them, the land changed in a sudden and dramatic fashion that stood out in the grasslands and sparse, dry forests. Before them, stretching off into the distant horizon, existed only barren wastes, devoid of any life. Dust swirled across it, staining the air a deep ochre as the sun shone through it. A frown slowly formed on the heavy brow of Nhaqosa’s bull like head and his tail whipped at the air behind him. The dead earth ahead of them stopped abruptly; one moment there was spouting grass and shrubs and the next desert, the boundary between them a sharp edge, almost as if something had swept every trace of life from one side of the line and not the other. Nhaqosa crouched down, scooping up a handful of soil from across the boundary in his heavy hand. No moisture existed in the soil, leaving it dry and lifeless. He turned over his hand and poured the earth out, watching it drift away like dust. Others of his band, around two dozen men and women in number, hovered near the edge of the boundary, though none seemed eager or even ready to take a step across. Another of the band, a man dark of hair and narrow of face, came over to stand beside Nhaqosa. A short, lithe young woman accompanied him. “So what, or who, caused it then, Kwaza?” the man asked. “In there?” Lakach asked, tugging at the corners of his moustache with even more force, eyes narrowing as he looked at the barren land. Winds blew strong across the wasted land, driving before it particles of sand and dirt that lashed at their skin like scourges. The fine grains seeped into every part of their clothes and hair. They had tied scarves around their faces to try and keep the dust out as they breathed, but it did little to ease the discomfort as they walked over the barren, dark earth. The sun beat down from above with a heat that settled heavy across the land, burning at their lungs as they breathed. The dust that filled the air produced a dull haze that reduced visibility, limiting how far ahead they could see. The landscape across which the group struggled, the members strung out in a long line, was like that of another world, devoid as it was of anything that resembled life. Not a single blade of grass or even a droning insect had been spotted, nor even the remnants of life, just an endless expanse of rock and earth. The sky itself was the wrong colour and the sun above a giant ball of dull orange through the shrouded sky, unlike any previous occurrence of it that any of them could recall. Nhaqosa called out, bellowing to be heard above the blowing wind, and the band came to a halt. Following the direction of Lakach’s pointing hand, Nhaqosa peered ahead through the dust and sand, his eyes narrowed. As Lakach had reported, a shape could be seen ahead, a vague form shrouded by the airborne dust, though it appeared to stick up out of the ground, all askew, leaning off to their left. Nhaqosa gave a faint, thoughtful grunt, chewing over the matter. From that distance they were not going to be able to get any idea as to what it was, not with the dust in the air. He gestured for the group to start forward again, taking the lead as they headed for the object. It grew steadily larger the closer they came to it, and grew more defined in shape as well until at last Nhaqosa had some fair indication of what it appeared to be, a tower of some type, though one that had seen far better days. Lakach paused in his march, reaching down for something on the ground. He picked it up and just as suddenly dropped it again with a strangled yelp. He shook his hand in obvious discomfort, as if he had been bitten or burned. Nhaqosa looked down almost instinctively to see what Lakach had dropped, tensing up in readiness for any threat. A shard of some dark crystalline matter lay on the rocky ground, glinting in the faint sunlight that seeped through the dust. Nhaqosa had not seem a material like it before. “What happened, Lakach?” he asked the man. “It was hot, like a burning ember,” Lakach reported, raising his hand to look at it. Already faint blisters were beginning to form on the tips of his fingers and thumb. Nhaqosa knelt down beside the crystal shard, easing his hand towards it until it hovered just above it without touching it. Heat radiated from the crystal. Even without touching it, enough heat existed to make it uncomfortable to be near. He removed his hand, rising again and kicking dirt over the crystal with his hooves to bury it. “The whom, boss?” Lakach asked. Lakach nodded and went to stroke his moustache, forgetting it lay under the scarf wrapped around his head. “What we have here are the Mountain Spirits,” he said, lowering his hand again. “What are they?” Nhaqosa asked, peering ahead once more.